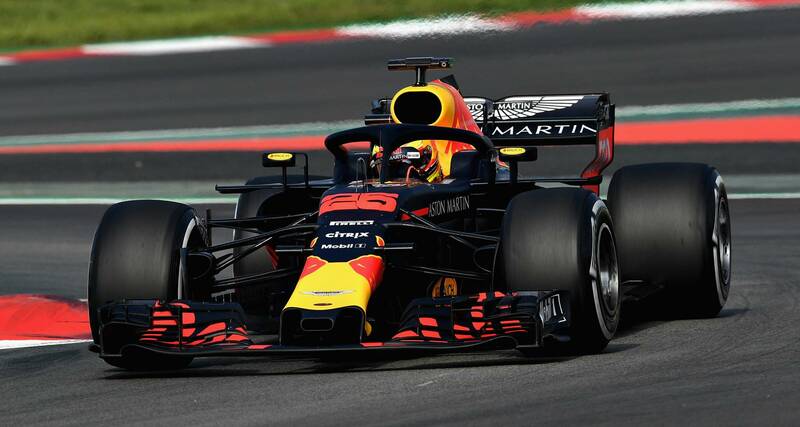 Jake Dennis will drive the Red Bull Racing RB14 at the Circuit de Catalunya for the Barcelona F1 Test on Wednesday. While many of the race team's headed home on Sunday following a busy Spanish Grand Prix weekend, we’re keeping a presence at the Circuit de Barcelona-Catalunya, with the year’s first in-season test beginning on Tuesday. Our schedule for the two-day test has Max Verstappen in the car on Day One, and a debut for Jake Dennis on Day Two. Jake is the Aston Martin Red Bull Racing Simulator Development Driver. He spends long hours at base in Milton Keynes driving our simulator, contributing behind the scenes to the general development of the car, while also supporting the race team with setup work. In 2012 Jake won the prestigious McLaren Autosport BRDC Award, following in the footsteps of many illustrious names, including those of David Coulthard and Jenson Button. Jake enjoyed a highly successful karting career. He was British champion in the KF3 category, and also won the MSA Super 1 British Junior Championship. In 2010 he won the CIK-FIA U18 World Champion. Success followed Jake when he moved to single seaters. Driving for the Fortec team, he won the 2011 InterSteps Championship, followed by the Formula Renault 2.0 NEC title in 2012. Following an elevation to Formula 3, Jake has recorded a string of podium finishes in the FIA European Formula 3 Championship, finishing third in 2015 with double victories at Pau and Spa, and further wins at Portimao and the Red Bull Ring. In 2016 he finished fourth in the GP3 championship with Arden International, the highlights of which were a feature race victory at Monza and a sprint race win at Sepang. In recent years, he has combined his single-seater career with sports cars, and currently competes in the Blancpain GT Series Endurance Cup, driving an Aston Martin V12 Vantage GT3 for R-Motorsport. Jake’s test with the RB14 will provide useful correlation for his work in the simulator. Both drivers have busy programmes during the test as the team seeks to further the development of the car.